Spain is a good destination for a villa holiday whether you seek recreation or relaxation. The villas in Spain and its islands - the Balearics and Canaries - offer a little something for everyone. During your villa holiday in Spain you can discover a range of beaches, fiestas and tapas by the waters of the Mediterranean Sea. 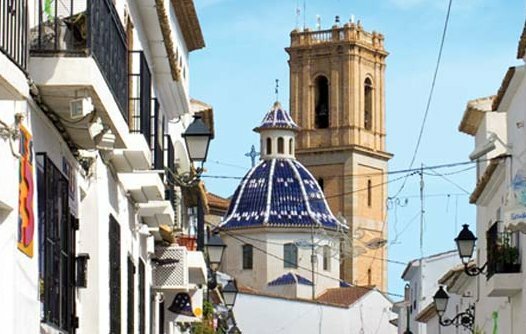 Spain has an abundance of leisure activities and world-class golf courses, all set by landscapes that provide a stunning backdrop to lively resorts and small fishing villages alike. If you�re after fun-packed, sun-filled days, or a taste of the traditional off the tourist trail, you will find a villa holiday to suit your needs. The villas below are all indeed in Spain, all the villas are listed here - in order of the amount of people they sleep. For those looking for a smaller holiday villa, you'll find these at the top. With the larger holiday villas being further down the page. You can also find villas in France, Italy, Turkey, Portugal, Egypt, Cyprus, Croatia, Malta & Gozo, Greece, United States and Morocco.